A Clients Profile page also displays all the locations connected to this company. edit information about existing locations. To add an existing location, click on '+add' in the top left corner of the location section. This will open a search box where you can search the list of locations in the system. Once you've found your location click 'Save' and the location should now show up in the section. You can also create a completely new location if you click on '+New'. Fill in all the information about the new location and 'Save'. 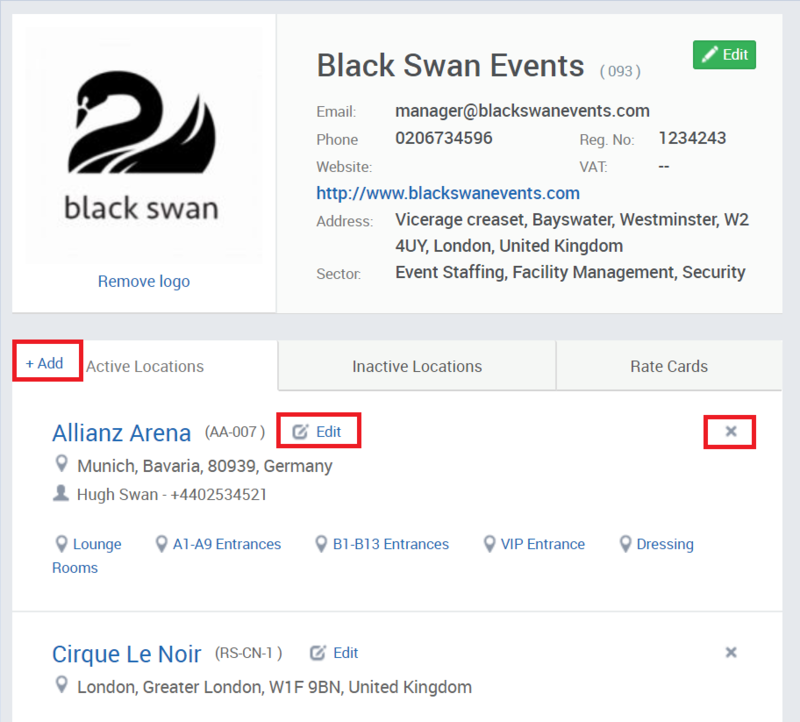 The new location will now show up in the Location section of the company's profile as well as the general list of locations. If you want to edit the information for an existing location, click on the little 'Edit' button on the right hand side of a location. Alternatively, you can update the information on a location by going to Locations in your top tool bar and clicking on the location's name on the list which will take you to that location's profile page.